In the few years I ran cross country in high school I ran for 2 different coaches, each with different philosophies on programming. The first coach I had believed in a constantly varied approach (sound familiar?). 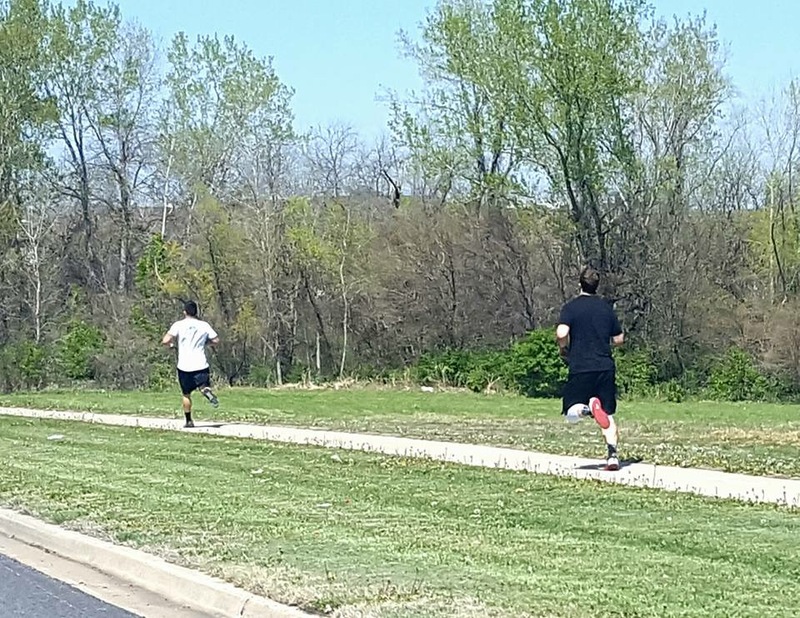 Long distances, medium distance, sprints, hills, and varying paces were all critical to developing the well rounded runner. The second coach firmly believed in mileage and duration ladders, similar to the couch to 5k programs that you see posted on the internet from time to time. I personally had my best performance under the constantly varied (but still structured) approach, and had multiple 5k times under 17:00 with my best time being a 16:32. Under the second coach I prepared harder than I ever had but my best time was a 17:25 despite being a more experienced and more dedicated athlete. For our endurance program I wanted to take what I learned from this experience and apply it to athletes who already have a fundamentally sound training program. I’ve tested this with a few athletes, myself included over the last 2 years and have refined it a few times to account for the demands of CrossFit. All this being said, any program is only as good as the participant’s efforts in both activity AND recovery. This program is scheduled for 3 days a week, Tuesday, Friday, and Saturday. Monday’s are typically higher volume days so adding running on this day can cause unnecessary stresses on the body. Thursday and Sunday are either rest days or skill work days for most so it’s wise to lessen the physical demand of the body on these days. Tuesdays – As long as Monday’s are volume in our CF programming, Tuesday’s will be Aerobic Recovery Runs or Trail Runs. Aerobic Recovery runs will be 20-30 minutes and should be at a pace that you could run for a very long time. If you consider yourself a weak runner then this pace could be just above a walk. If you’re an intermediate to advanced runner, this pace should be something you could continue to do for 30-40 minutes without stopping. The point of this is to get the body used to moving consistently for 20 minutes or longer, and to provide blood flow to the legs for recovery. As you progress you may notice that you start running further in the 20 minutes without expending more effort, however I want you pay attention to pace over distance. Trail runs are not only fun, but they provide a great way to work on agility and coordination from changing terrain. These should be done on grass, or dirt to give the body a break from pounding on concrete. Find a good trail, set your watch to the workout’s time length and run half the time away form the starting point and the remaining time back to the starting point. Try to maintain a solid pace so you can arrive at the starting point right at the time limit. Friday – Specifically for this first cycle, Friday’s are difficult because we never know what Castro is going to throw at us for the Open. If you plan on participating on Friday night lights then I would NOT run before your Open workout! These Friday runs will be formatted as ‘Recovery Pace – Race Pace – Recovery Pace’. That means, the same Aerobic Recovery Pace you run on Monday, then increase your pace to the race pace defined (5k, 1 mile, etc), then back down to the Aerobic Recovery Pace. This will look like 6-7-6 Recovery/5k/Recovery where you run for 6 minutes at a slow recovery pace, 7 minutes at the same pace you’d run a 5k in, and 6 minutes at a slow recovery pace. One of the challenges of this program is learning and understanding pacing, but it’s best learned by practice. Once you learn your pacing you can practically figure out how long it’s taking you to run a certain distance without looking at a watch. You can ask Brady, that we’ve ran together before and I’ve guessed our time within seconds on a mile without ever looking at a watch. Saturday – No program is complete without Sprint work as a way to build speed but more importantly your VO2 Max. As Eric Carter and I have discussed, the track is one the most dangerous places for the over 30 athlete so they are added here with a caveat. If you are not built up for sprinting, then I want everyone to go at 80-90%. It is critical to have a watch for these days and for this program as with sprints you’ll need to pay attention to your work to rest ratios. The sprints will be prescribed in meters so 800×1, 400×2, 200×3, 100×4 1/3 Work to Rest. In this example you would run 800 M then rest 3 times the amount of time it took for you to run it, then you would run 400 meters and rest 3 times the amount of time it took for you to run it, then run 400M again, rest and so on until completed. It is NOT crucial that you do all 3 days of this program. 2 days is plenty, but I program 3 because not everyone can make it into the gym 5-6 times a week. 3 days of running would be more for the athlete that makes into the gym 2-3 times a week and is planning to race in a 5k. If you choose to participate in this program at ANY level I urge you to take your rest days seriously. Icing your shins, fueling your body with good food, and proper warm ups each day will go a long ways towards success. Lastly, Open workouts are incredibly intense and very tough on the body so I would not recommend running the 48 hours prior to your Open workout. I understand that this means most of you will not do the sprint work, but considering the cold weather makes us prone to hamstring injuries when sprinting I’m completely okay with that. Email or text me with any question and happy training!